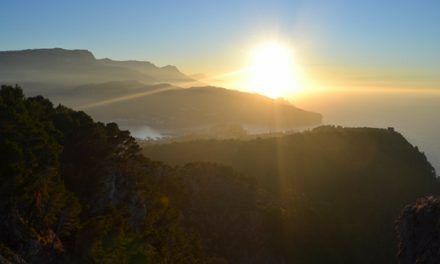 Located in the municipal district of Sóller, the Barranc de Biniaraix is a ravine created by the Son Torrella mountain range, L’Ofre and Els Cornadors mountain range. A place of great beauty, it has a pathway made of stone steps. This path begins in Biniaraix and continues until the house of L’Ofre. 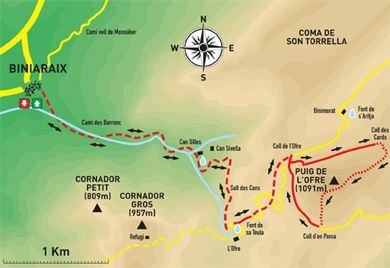 From this area, there are several paths that go to the Cúber reservoir, Puig de l’Ofre, Els Cornadors and the Alfabia mountain range. 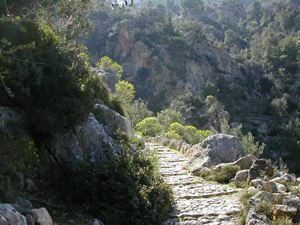 There are also paths which descend towards Fornalutx, Sóller and Orient. The Barranc de Biniaraix is the jewel of Mallorcan traditional engineering. 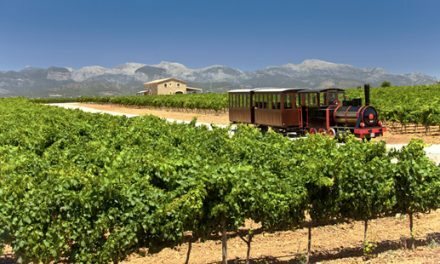 With no more help than the wise positioning of the stones, the ancestors of the people now living in the Valley of Sóller built an orchard where steep unproductive slopes had previously stood. A maze of paths, terraces, channels and bridges will lead you to the houses of l’Ofre. In front of you stands its singular mountain top. 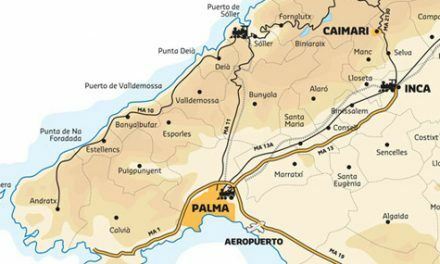 Without doubt you will keep a lasting impression of the landscape in the coll de l’Ofre and on the mountain top.